Assistant U.S. Attorney Thomas McKay made the remarks on Tuesday as he started delivering the government's closing statements in the federal corruption retrial of former State Senate Majority leader Dean Skelos and his son, Adam. 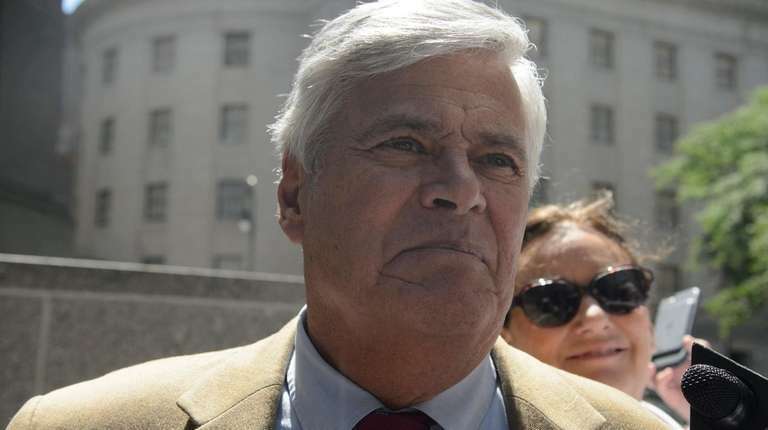 A federal prosecutor accused former State Senate Majority Leader Dean Skelos of giving false, misleading and “ridiculous” testimony in his retrial on federal corruption charges on Tuesday. “Dean Skelos tries to act as if there was nothing wrong with any of this,” prosecutor Thomas McKay said, referring to the senator’s requests of businesses over about five years to help his son while they had legislation before the Senate. “It’s just not credible. 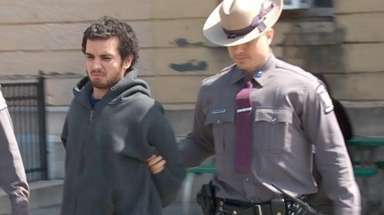 Don’t buy it,” McKay said in the prosecution’s closing arguments that stretched over more than three hours. Earlier Tuesday, Dean Skelos, under cross examination by prosecutor Edward Diskant, appeared to distance himself from his son's actions, saying: “I thought it was improper” for Adam Skelos to receive a $20,000 check from a title insurance company for doing no work. 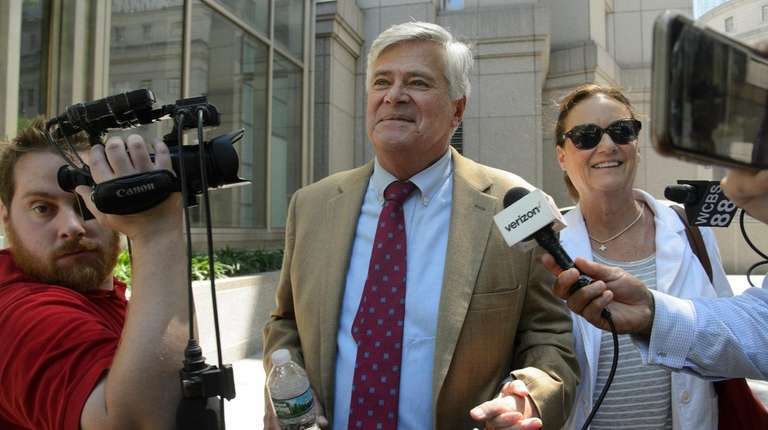 The senior Skelos said he did not know at the time that Adam hadn't actually earned the $20,000. The payment, given to the younger Skelos in an envelope at a 2013 dinner meeting, was arranged by Glenwood Management, a mega-landlord that Dean Skelos had repeatedly asked to help his son. Glenwood, based in New Hyde Park, was seeking renewal of lucrative tax breaks for building projects at the time, according to testimony. Later Tuesday, McKay, one of three prosecutors on the case, said Dean Skelos was attempting to shift blame for allegedly abusing his Senate office onto Adam Skelos and the business executives who helped him. "For 30 years he was in the business of getting people to vote for him. What he was trying to do on the witness stand was to charm you, to make you feel sympathy for him," McKay said. The prosecutor also said Dean Skelos lied when he testified he didn’t initiate the hiring of his son by a medical malpractice insurance company or that as Senate chief he lacked the power “to kill” state-sanctioned building projects in Nassau County. “That was a lie!” McKay told the jury, raising his voice, referring to Dean Skelos’ testimony that he didn’t help Adam Skelos negotiate a consulting contract with an environment company that initially paid $4,000 per month. 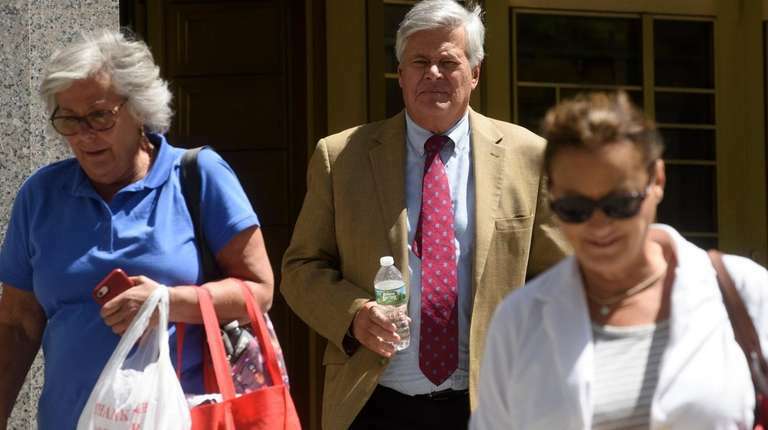 Earlier in the retrial, attorneys for Dean Skelos repeatedly argued that his attempts to aid Adam Skelos were those of a father trying to help his struggling son, who had problems with school work, alcohol abuse and anger management. The Skeloses are accused of using Dean Skelos’ position as one of state government’s three most powerful individuals to win jobs and cash for Adam Skelos. In return, Dean promised to vote for legislation needed by those aiding his son, according to the indictment. 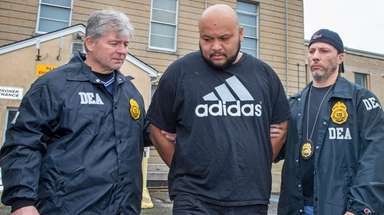 The Skeloses’ retrial was ordered after their 2015 convictions were overturned because of a later U.S. Supreme Court decision. The high court more narrowly defined the kind of quid-pro-quo bribery scheme a public official must engage in to be convicted of bribery. The court said a public official must do more than make a telephone call or arrange a meeting. 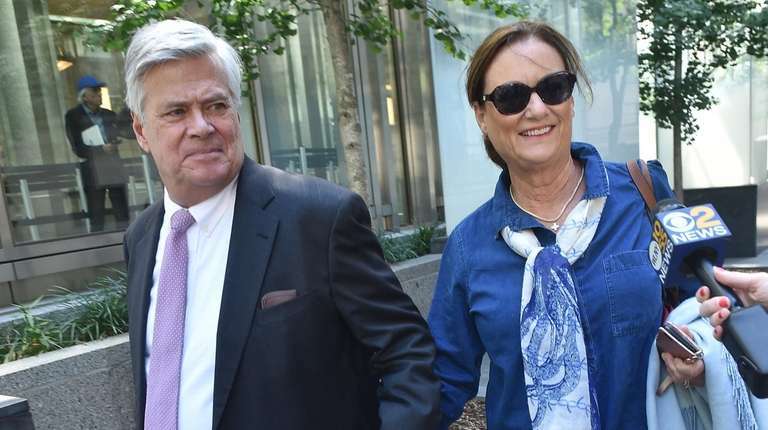 The Rockville Centre pair are accused of multiple quid-pro-quo schemes with companies that paid Adam Skelos hundreds of thousands of dollars. Each business needed Dean Skelos’ vote for key bills before the Senate. Dean Skelos did not testify in his and his son’s first trial in 2015. Adam Skelos decided not to take the stand in either proceeding. 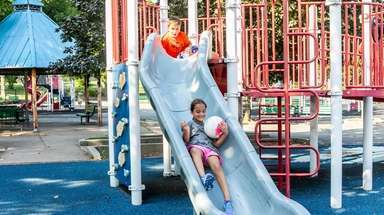 Later Tuesday, McKay, the prosecutor, said Dean Skelos’ repeated entreaties for businesses to help Adam Skelos were rooted in the younger Skelos’ trouble getting a mortgage. Adam was trying to buy a $675,000 house in early 2013. The three-bedroom house was a few blocks from his parents' home and came with an outdoor pool.